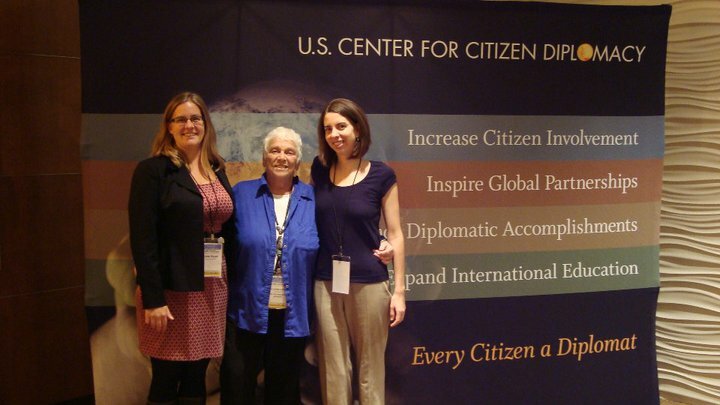 Last week the US Center for Citizen Diplomacy convened a momentous summit on citizen diplomacy. The breadth topics on citizen diplomacy included tourism, volunteering, education, social corporate responsibility and government involvement. The event was cosponsored by the Department of State which added to the variety of participants and speakers. IVPA Executive Director, Genevieve Brown, participated on the task force for K-12 Education. “While participating on the task force I was able to read the proposals for educating of our youth and engaging them with other cultures so that they become better global citizens. I was impressed with the innovation and creativity of the programs and organizations involved.” said Ms. Brown. The conference was held over four days in Washington, D.C. and ended with the a commitment to double the number of citizen diplomats by 2020. On November 4, 2010 International Volunteer Programs Association (IVPA) convened its 2010 IVPA Conference. The event, held at Cross-Cultural Solutions’s headquarters in New Rochelle, NY, brought together executive directors from leading volunteer sending organizations from around the country. With twelve organizations participating this year, the event gave an opportunity for executives, in the spirit of collaboration, to come together and share ideas in an intimate setting. Presentations and roundtable discussions focused on providing quality programing and trends in the field of international volunteering and voluntourism. Some of the highlights included Social media expert, Stephanie Schwab, who presented on 2011 trends for social media and there was some great discussion on how those trends apply to the field of international volunteering. The IVPA Conference is an annual event and open to IVPA member and non-member organizations. For more details about the event or next year’s conference please contact IVPA. This week IVPA members and friends will be convening for the annual IVPA Conference and Membership Meeting. This year Cross-Cultural Solutions will be hosting the event at their headquarters in New Rochelle, NY. The IVPA conference is a time for leaders in international volunteering to come together in an intimate setting to discuss the challenges and opportunities in the field.